Putting together a peppercorn blend is an easy and thoughtful quick gift for the holidays. You can add a peppercorn grinder and other bits and pieces to round out the gift also. But a nice jar of peppercorns is a nice small gift on its own. Head out to your big box store and buy large containers of black, pink, white, Szechuan and air-dried green peppercorns. equally measure some of each into a large bowl, mix it up. 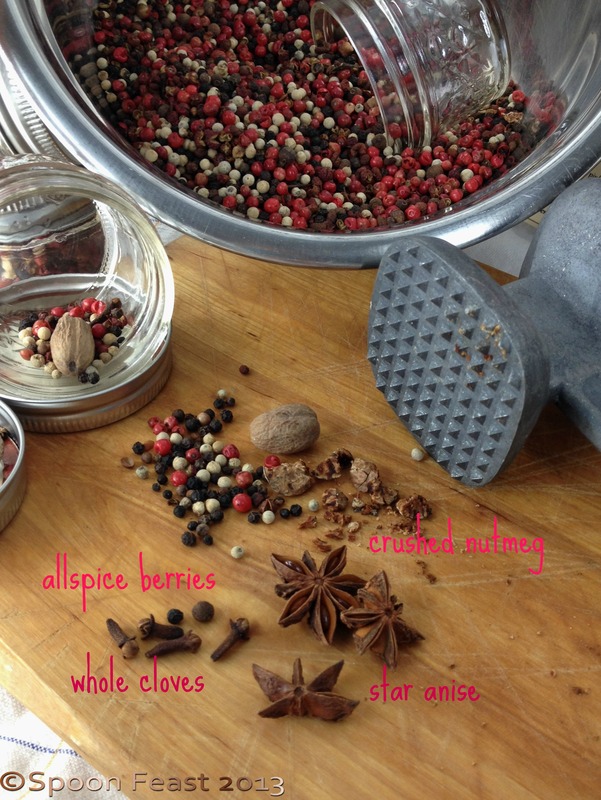 Add a unique element by choosing whole allspice berries, whole cloves, crush a bit of nutmeg or star anise with a mallet and mix this in with the peppercorns for a unique blend. 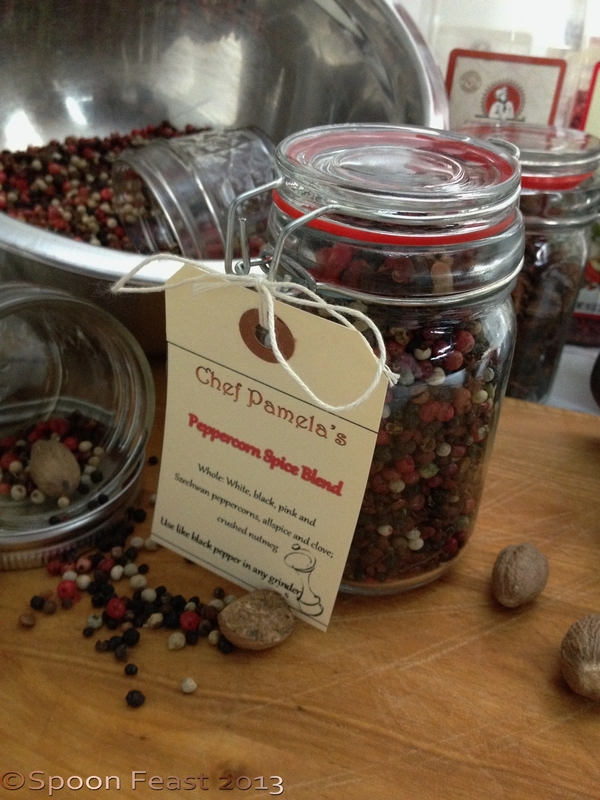 Package the peppercorns into a nice jar or container, make a cute label and attach to the jar. There you have it, a quick, simple useful gift. 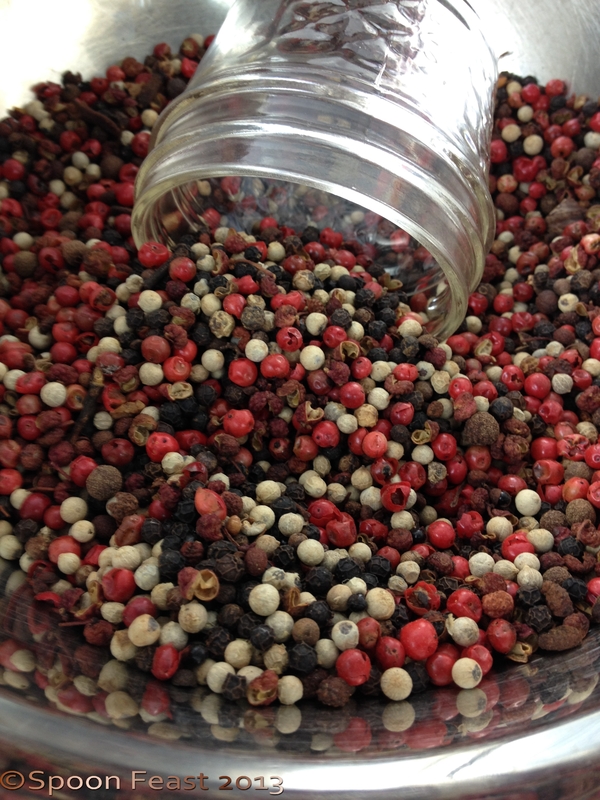 This entry was posted in Recipes and tagged Black pepper, Gifts in a Jar, hostess gifts, peppercorns, Szechuan. Bookmark the permalink. Hi Pamela. They look lovely.